Three months ago, we were asked to Nominate Your Top 20 FBW Travel Blogs. A total of 44 blogs were nominated excluding those who are not Filipino Bloggers Worldwide members but only the top 20 will be included on the list. To determine the travel bloggers worth following in 2013, I’m putting it to a vote to rank the TOP 10. 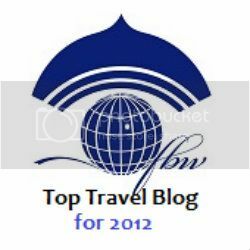 The winners will be the "Top 10 FBW Travel Blogs of 2012". The top 10 travel blog will be announced on FBW Bloggers Night, December 7, 2012. Last day of voting is on December 1, 2012. Voting is on the right side. Please tick maximum of 3 entries then hit the "Submit Vote". Thank you. SO happy to be included in the list of nominees and thanks to FBW for all the support. wow thanks for including Traveling Morion:) just got my own domain now- from morionworld.blogspot.com it's now www.travelingmorion.com thanks FBW and Mami Tess! Very difficult to choose just 3 as there are so many good blogs among these nominees. Good luck to all! Great list! I can vouch for many of those bloggers up there; some are really good photographers and writers! I am not aware of this. Being in the top 20 is already a milestone for me! I mean look at the list above! Some are really pioneers in the travel-blogging world ^_^. This is great! We have really great travel bloggers in FBW and therefore give them the recognition they deserve! 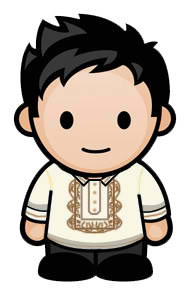 Perhaps next time, makasali na ang blog ko. Voted na po . I see one great list up there and by just looking at them, it is already tough to choose who to vote. A lot of them are doing great jobs in the niche. this is such a surprise to be included in the Top 20 nominees! I didn't know there was such a search and grateful my blog made it there along with many travel blog icons.Feeling guilty though coz I have been on travel blogging hiatus (coz busy with business travels leaving me no time to write) and have not participated much on the FBW thread syndication exchanges for the same reason.I have just voted.It's difficult to choose my 3! Goodluck to all!! GMF! Yung tatlong binoto ko mukhang hindi mananalo ah. Lamang na lamang si mindanao. Sa bagay maganda talaga rin ang mga blog post nya. Congrats to all the nominees! Keep up the good work. You all deserve it. paano nangyari ito? andami pang magagaling na writers ng blog na wala sa listahan? ano ang naging pamantayan nito? @Mars Mercado,here is the link for you to check out how did it happen.i f you will read the post and this post you will be enlightened.. thank you for the comment. Sayang, di kami nakasali sa nominees! Hahahaha. Pero nagvote na ako! Yehey! Vote na ang hindi pa!